David Kirkwood first published this post in June of 2011. In 2016, we are still working to have universal newborn hearing screenings across the world. Nearly everyone would agree that there is never a good time for a baby to be born deaf or with a significant hearing loss. And children who suffer hearing loss early, especially before acquiring basic language skills, also must overcome formidable obstacles to reach the full potential that could be expected of them if they did not have a hearing disability. And yet, thanks to a variety of developments over the past 20 years, the prospects for children with hearing loss have brightened dramatically. Indeed, more and more of them are leading lives and achieving successes that are equal to those of their normal-hearing peers. It’s hard to know where to start in listing the factors that have so greatly increased the possibilities available to young children with hearing loss. Certainly one of the most important of these is the advent of routine newborn hearing screening. While a few visionaries, including the trailblazing pediatric audiologist Marion Downs, had been advocating newborn screening since the 1960s, it was common even 20 years ago for a child born with hearing loss not to have it identified until he or she was a year or two of age—or even older. These children typically fell far behind their peers in learning language before the problem was identified. However, today, universal newborn hearing screening (UNHS) is the rule in every state in the U.S. and in many other countries. 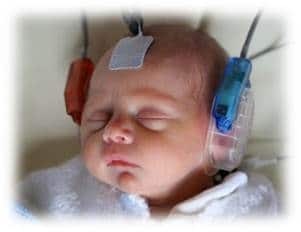 As a result, infants who fail the screen and are subsequently confirmed to have hearing loss begin to be treated in their first few weeks or months of life. Research studies have found that children who receive early intervention—before 6 months of age—can usually be successfully educated in mainstream classrooms. Moreover, they develop significantly more advanced speech and reading skills than children whose hearing loss was identified after 6 months of age. While mandating early identification of hearing loss was important in itself, the benefits have been greatly magnified by improved early intervention. No advance in this area has been more dramatic than the cochlear implant, which was first approved for use in young children in America in 1990. It’s no coincidence that the UNHS movement began to catch on about that time. For if a child was born deaf or with profound hearing loss, there was technology that might enable him or her to hear, which had never been true before. Other developments in intervention have greatly improved the prospects for children of all degrees of hearing loss. These advances include hearing aids designed for infants and children, a growing number of well-trained pediatric audiologists, and new types of hearing assistance technology for the classroom. While some of the landmark events that have improved conditions for hearing-impaired children (and their parents) took place in the 1990s, progress has not slowed since 2000. For example, most or all the major hearing aid manufacturers have increased their focus on pediatric products. There are also societal changes taking place that reflect a growing understanding of the crucial importance of hearing care for children. Last month, Tennessee passed a law requiring all insurance companies writing healthcare policies in that state to cover part of the cost of hearing aids for children. About 20 states have enacted similar legislation and the number is growing. And just today, the June 2 issue of the New England Journal of Medicine reported that researchers at the University of Alabama at Birmingham have discovered a quick and effective way to test a newborn’s saliva to determine if the child has cytomegalovirus (CMV) infection. About 20,000 to 30,000 infants a year are born with CMV, making it the most common infection passed from a mother to her unborn child. Why do I mention this here? Because about 10%-15% of infants born with this infection develop hearing loss. However, often the loss does not occur until a few years later, so these children are likely to pass the neonatal hearing screen. But since they have been identified with CMV, these children can be monitored and given follow-up tests for hearing loss so if it occurs, it will be found and treated quickly. As our blog name says, “Hearing Health Matters,” and that means for everyone. However, I can’t help feeling that it matters even more for newborns and very young children. For the entire course of their lives will be profoundly affected by their ability to hear and/or their ability to cope with hearing loss. The remarkable progress in early identification and intervention is the most heartening development I’ve seen in my 20 years covering the hearing healthcare field. It is important that consumers and their hearing care providers remain up to date on advances in this area so that they can take full advantage of the impressive resources available to the youngest segment of the hearing-impaired population.